This harvest brought about our 27th vintage. We had a very smoky summer in the Okanagan as well as the Similkameen Valley, similar to what most of the province faced this summer with all of the forest fires. At times we could not see Okanagan Lake from the winery or tasting room. The fires came very close to our Great Northern Vineyard in Keremeos, as the fire came down the mountain side to the river which is adjacent to our property. We did some preliminary test fermentations from grapes in vineyards closest to the fires and did not experience any negative smoke aromas or tastes in those ferments. Harvest commenced on September 28 with the picking of Pinot Gris and Gewurztraminer. Zinfandel from our Great Northern Vineyard in Keremeos was the last pick on November 3. 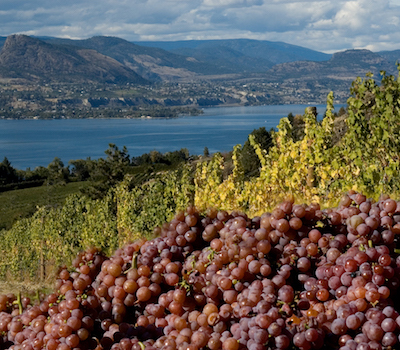 As we finish off our 27th year, as the oldest single-owner winery on the Naramata Bench, we still remain dedicated to making and sharing great wines from BC grapes. Our family’s commitment is as strong as ever to farming full flavoured grapes and to winemaking that brings out the best of those flavours and subtleties. Whether you’ve known us for all these years or are just coming on-board, thanks for your support and raise a glass to fine fruit, family and friends. 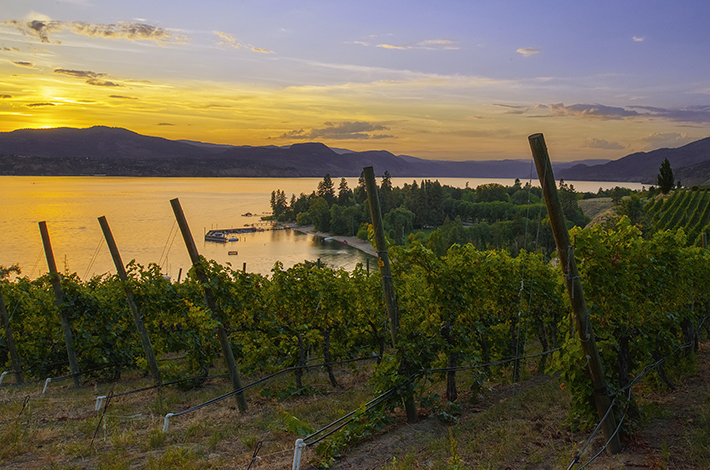 With abundant sunshine, cooling lake breezes, and an optimal temperature range, the Naramata Bench is one of the premier grape growing regions in Canada. The rolling hills and variable soils of the area create a range of microclimates and terroirs that an experienced grape grower can match to a wide variety of grape crops. It was because of these many qualities that we decided the Naramata Bench was where we were going to plant our vines, locate our winery, and raise our families. 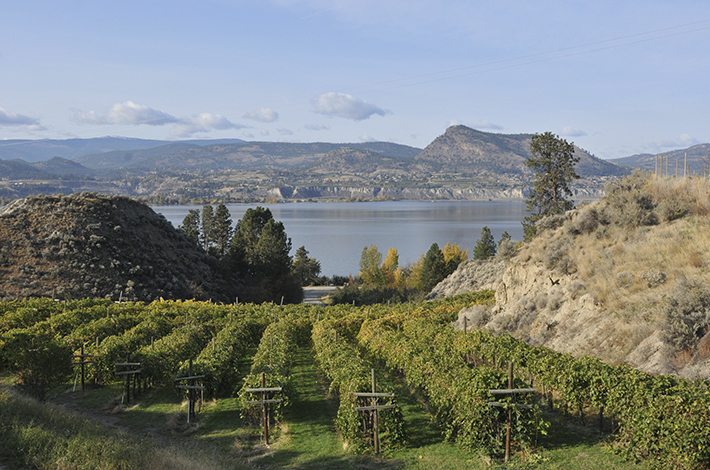 We were one of the early adopters of the Naramata Bench and were issued the third winery license for the area back in 1992. 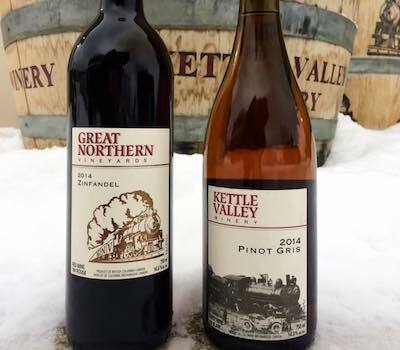 Working with the terroir of the area we have produced a wide range of Kettle Valley wines including red blends such as “Old Main Red,” and single varietals including Pinot Noir, Merlot, Cabernet Sauvignon, and Malbec. Whites have also done well in the Naramata terroir; our original Chardonnay has been joined by Pinot Gris, Gewurztraminer, Semillon and Sauvignon Blanc. 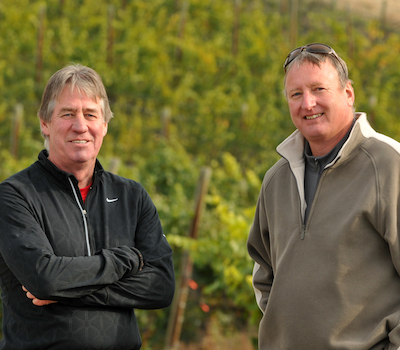 In 2009 we expanded our vineyards with the purchase of a 14 acre vineyard property in the Similkameen Valley that was entering it’s second leaf. We replanted most of the vineyard which allowed us to plant Zinfandel in the rocky soils that comprise the growing medium for the vineyard. Visit our home based tasting room on your wine tour of the Naramata Bench. We look forward to seeing you. 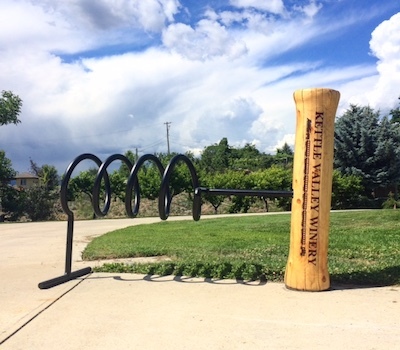 The inspiration for our name is the famed Kettle Valley Railway which ran through Naramata between 1915 and 1961 connecting the Southern Interior of British Columbia to the markets of the Pacific Northwest. 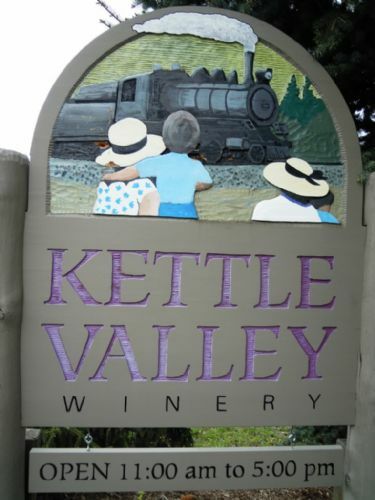 Passion and a dedication to excellence were requirements for building the railway, and we at Kettle Valley feel that same passion and dedication for our Red Wines which are known for their dark, intense, and well structured natures; and our White Wines that are flavourful and aromatic with a rich mouth feel.